My previous visit to the cinema was to see Harry Potter and whilst it was an enjoyable enough way to pass the time it was good to finally watch something that had me thinking long after the film had ended. Atonement is such a film. Reading any review is a dangerous undertaking when planning to see something you hope may turn out to be a classic. Those few I read were split in praising the film for it's dream-like first half followed by a more traditional (weaker?) narrative in the second part, or a strong finish to a slow and confused beginning. But it seems to me this mix in style is deliberate and represents the situation and state of mind of the characters, or perhaps the central character of Briony, at particular points in time. Perhaps the film was a little unbalanced with too much of the story focusing on the people sinned against when, personally, it was Briony's attempt at redemption that held the interest. This is not a love story though it contains a love story as a backdrop. It is a story of how lives are destroyed by the imagination of a 13 year old child and it says much for the quality of the film that we come to care as much for the perpetrator as we do the victims of the crime. It was thoroughly depressing and I loved it. I once heard Germaine Greer describe the Australian soap Neighbours as crypto-fascist - at least I think that was the description. At the time I dismissed it as another barking mad comment from one of those not-quite-in-touch-with-reality lefties that used to give me so much enjoyment. Subsequently I've realised there was some validity to this point which suggests the possibility that I'm an idiot. I'd like to think it takes a big man to admit he was wrong though it's more likely an indication that it's me who is not-quite-in-touch-with-reality – assuming I ever was? Anyway, in the words of the song, it's my blog and I'll write rubbish if I want to. I've not watched Neighbours since I was a student (what is it about students and crap television?) but I do believe Ms Greer's comment could now be applied to the detective drama CSI:Miami. This is another in a long line of American cop shows with impossibly good looking (in a suspicious way) detectives and an almost religious regard for the possibilities of science; which as portrayed in the show is more fantasy than reality. I'd condemn the show outright were it not for the comic turn of David Caruso as Horatio Caine. Once you twig it's a comedy it's a lot of fun. Though I've a new-found, albeit misplaced, enjoyment for said show it has already been supplanted by the all-new Nigella Lawson cookery program in which Nigella continues to be impossibly good looking (but in a good way), wears outfits wholly unsuitable for the kitchen (not that I'm complaining) whilst travelling to the supermarket by taxi (I particularly liked that bit). I know what you're thinking. The link from Neighbours to CSI:Miami was pretty tenuous but from CSI:Miami to Nigella Lawson it's frankly unbelievable. 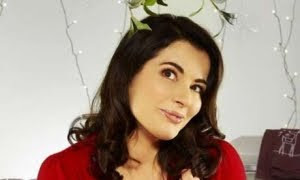 Is this just a flimsy excuse to plug (if you'll forgive the expression) Nigella? Due to circumstances beyond my control I found myself travelling by train into work this morning. Thankfully I actually like travelling by train; until recently it was my regular mode of transport for many years. The journey may have taken twice as long compared to my car but somehow it was more… civilised. It might also have proven cheaper had I learnt to resist my early morning coffee (£1.75) and danish (£1.40ish) - the breakfast of kings. It was certainly safer than driving since concentrating first thing in the morning isn't one of my stronger points. So despite a heavy work load ahead, which truth be told I prefer, I enjoyed the journey in; I even managed a smile when I saw my train was running late – it was like old times. 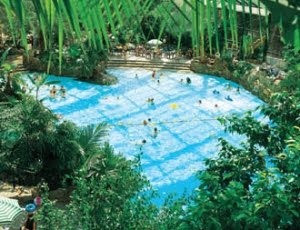 I've come back from a weekend break in Center Parcs. It's hugely overpriced and the antithesis of thinking for yourself. However there were two aspects that appealed to me; it wasn't too far to drive and... I didn't have to think for myself. But I digress; I had a really good time and since I hadn't been looking forward to it at all it was a pleasant surprise. I'm still drying out from the endless time I spent in the pool with my six year old daughter, and I must be getting soft because when she told me she'd really enjoyed her holiday I couldn't stop myself from grinning. Smiling after holiday and smiling on the way to work… now there’s a puzzle. Accept the things to which fate binds you, and love the people with whom fate brings you together, but do so with all your heart.